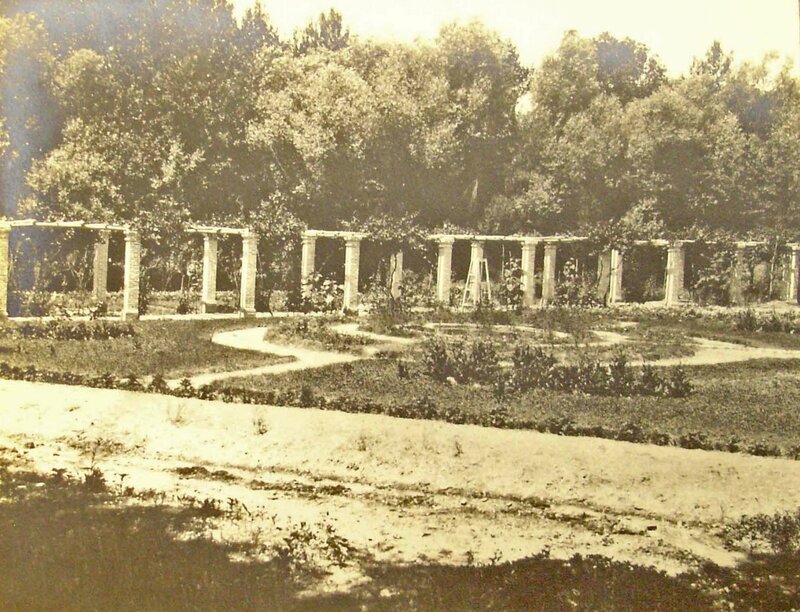 When Charles Alison arrived in Tehran as minister in 1860, he was able to rent about twenty acres of garden at Gulhak. Thanks to the efforts of Edward Eastwick, the legation secretary, the Shah was induced in 1862 to buy this land from the heirs of its former owner, Imam Jumeh, and grant it to the British legation as a free gift. It came in two parts: the southern part comprised a house with garden, and the northern part was referred to as the ‘additional lands’. Between the two ran a public roadway, which remained until its closure towards the end of the century, when the western part of the former road became the compound’s main drive. As a ‘slight return for this munificent donation’ Alison presented the Shah with one of the large mission tents. Alison lost no time in seeking the Treasury’s approval to spend £2,000 on building a permanent summer residence on the new garden site. To frame this estimate, he consulted Captain John Champain, a Royal Engineer recently arrived in Tehran to command a small group of British military officers seconded from the Indian Army to the Indo-European Telegraph Department to build an alternative line to India across Persia. The Treasury nevertheless asked for more details ‘on consideration of the deceptive nature of general estimates for buildings in foreign countries.’ Alison managed to satisfy it that there were two financial reasons for proceeding: the total cost was less than that of ‘a new set of tents’ and the costs were anyway to be shared with the Government of India. 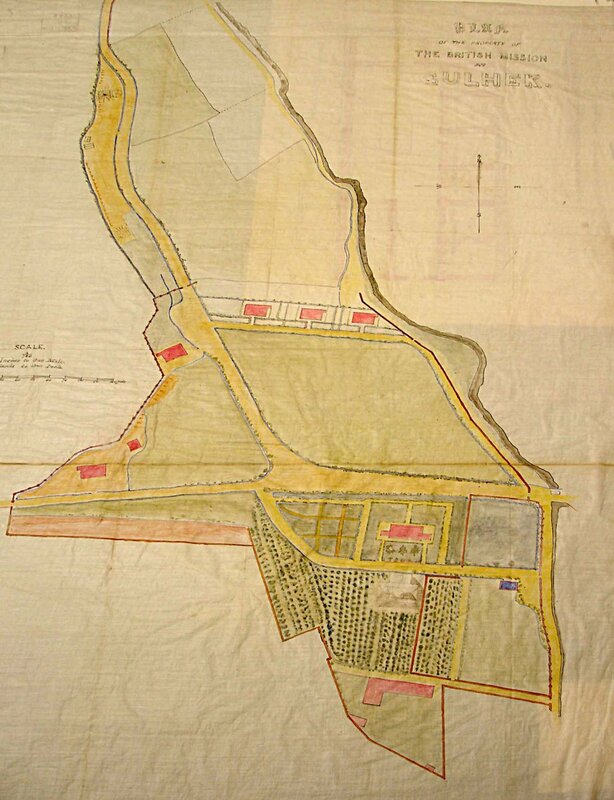 The project therefore went ahead, comprising a minister’s house with chancery on the new garden site, and three staff houses, stabling and domestic staff quarters on the ‘additional lands’. I. In 1862 and 1864 there were three exchanges or other transactions related to small unidentified pieces of land. In 1876, these were followed by the purchase of four small pieces of land to the north-east (that may have included the plots exchanged in the 1860s) and one to the west, from five different peasant owners. II. In 1890, an area of about four acres to the south was bought for £700 from Mr Henry Stagno Navarra, a clerk in the legation: it had earlier belonged to a British minister, Sir Taylour Thomson, who sold it to Mr Navarro’s father. III. In 1894, about five acres at the extreme north of the original land was granted by the Persian government for 99 years. It was called the Paichenar property after two huge plane trees that grew [? still grow] on it. It could not be granted outright because it was in vaqf (endowed for religious purposes) but the minister of the day recorded that the Persian government had orally assured him that the grant was intended to be perpetual. IV. In 1906, a complicated transaction was completed on about seven acres of land, with a house on it, to the south and west of the original area, called the Vartini property. Alison bought it on his private account in the 1860s and bequeathed it when he died in 1872 to his Armenian mistress, known as Madame Vartini. She transferred it in 1893 to their daughter, Victoria, who died leaving minor children by her Russian husband. The minister succeeded in persuading the children’s trustee to sell at a valuation of about £2,000. V. In 1913, a piece of land, an open field without trees of about seven acres to the west, was bought from the heirs of Haji Mohammed Ja’afar for about £1,000. VI. Also in 1913, two thin strips of land adjoining the main Tehran-Tajriah road were bought from Mukhber-ed-Douleh. The outer part of these strips was sold to the Tehran Municipality for road-widening in 1928. It is difficult to trace the changing uses of some of the buildings, not least because the letters by which they were denoted also varied. 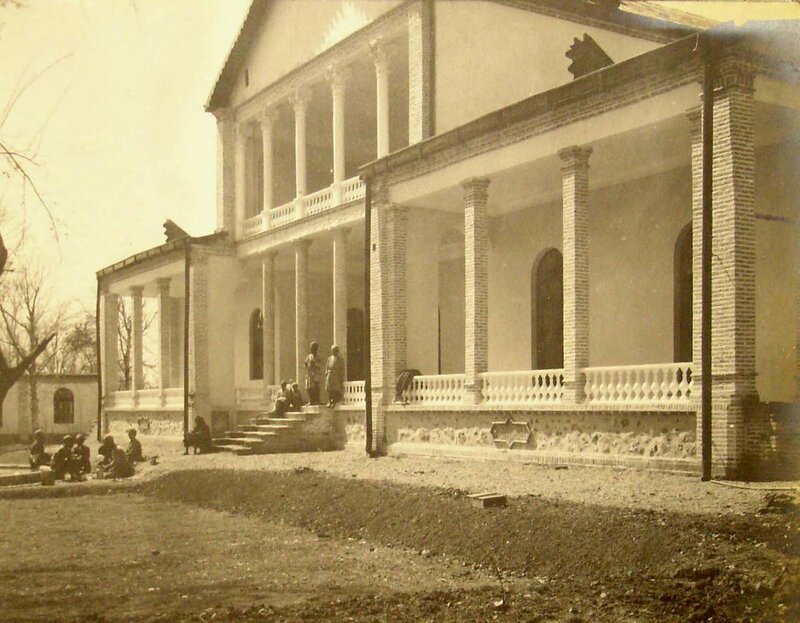 The minister’s house with chancery (A), completed in 1865, was extended at its eastern end and fronted with arched terraces on both floors in the mid-1890s, and around this time the chancery was ejected. (A) remained the summer residence until 1942: it was converted into three flats in 1947, and demolished in 1961 to make way for a new counsellor’s house. The three staff houses in a line, (B), (C) and (D), also completed in 1865, were re-arranged/rebuilt late in the century as two wider buildings, one with two semi-detached secretaries’ houses and the other (later M) as chancery offices. With the Vartini plot in 1906 came a house (F), which was allocated to the surgeon, near the site of an earlier building called the Orangery. In the Vartini garden, a new counsellor house (H) was built for the oriental secretary in 1909 and then two small houses that later became the dispensary (G) and the hospital (?J). Straddling the boundary between the Vartini and Navarra sites, a fine counsellor’s house (K) was completed in 1910: it came to be known as the Marling Palace Hotel after its first occupant and its unusually graceful appearance; concurrently with it were built the lower stables (S). House (R), by the west gate, was converted in 1937 to consulate offices. The last remaining manorial rights over the village were not surrendered by the legation until 1928. Under a 1932 law, the whole compound was registered as the property of the legation on 11 November 1934. Land in Persia was of little use unless it had accompanying water rights. These entitled the owners of the rights to a regulated quantity of water from the qanats that brought it underground from the hills to the vegetated or populated areas, where they surfaced to feed a distribution system of small streams or rills. The administration of water rights was as important as the administration of land title and the two were always registered together. Since water was scarcer than land, land was often bought solely for the water rights that it carried. A qanat was owned by an association of shareholders who collectively held 240 shares, each share being worth one hour’s flow of the qanat’s water every ten days. Each shareholder was liable for annual cleaning and clearing of the qanat and any extraordinary works to improve the supply. Disputes, unsurprisingly, were common because water assets could be so easily purloined. 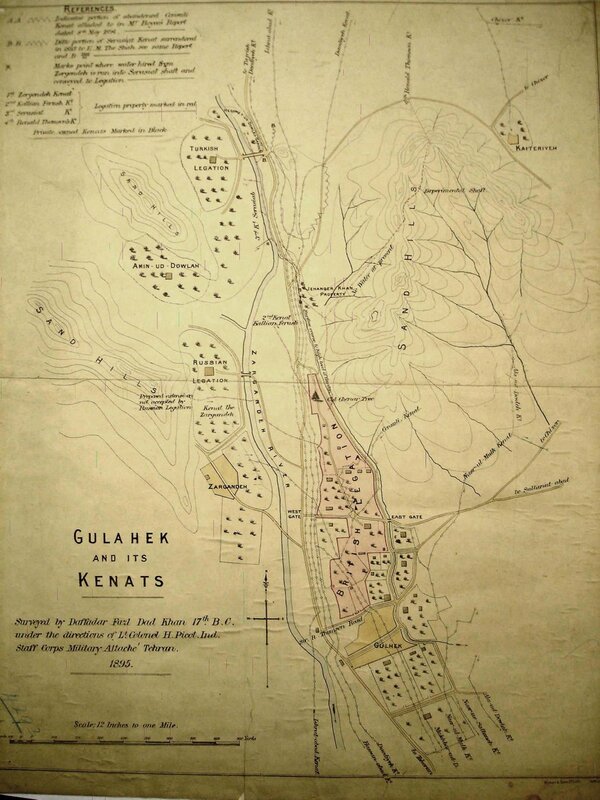 An 1894 report on the water supply of the (by then enlarged) Gulhek compound described the legation’s shareholding in three qanats that served the area. The legation owned one fifth of the shares, numbering 48, acquired thus: 12 with the land presented by the Shah in 1862; 4 bought in the late 1880s; and 32 bought with the Navarra land in 1890. By 1913, mainly as a result of purchasing the Vartini land in 1906, the legation owned 74 13/60 shares, which entitled it to a flow of 74 hours and 13 minutes every ten days. By 1939, the legation owned 85 54/60 shares. 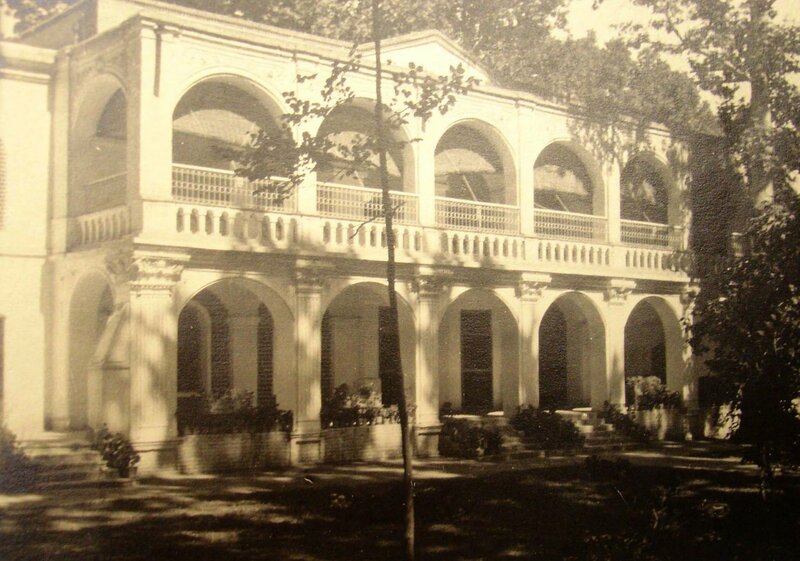 In the late 1930s, a first secretary in the legation, Lacy Baggallay, was charged with recording in detail the sequence of the growth of the Gulhak compound. He signed off a provisional edition of his efforts (with only poor quality drawings) at the Foreign Office in London in 1939. It is unclear whether the draft dated 31 May 1939 (in The National Archives at WORK10/629: working papers at FO251/91) was ever further developed but, with war looming, the likelihood is that it was not. Either way, the Baggallay report is valuable for the evidence with which the British government can contest the occasional complaint from the Iranian government that the Gulhak property was improperly acquired. Lt. Pierson’s plan of Gulhak, 1865, with minister’s house (A) and line of three staff houses. 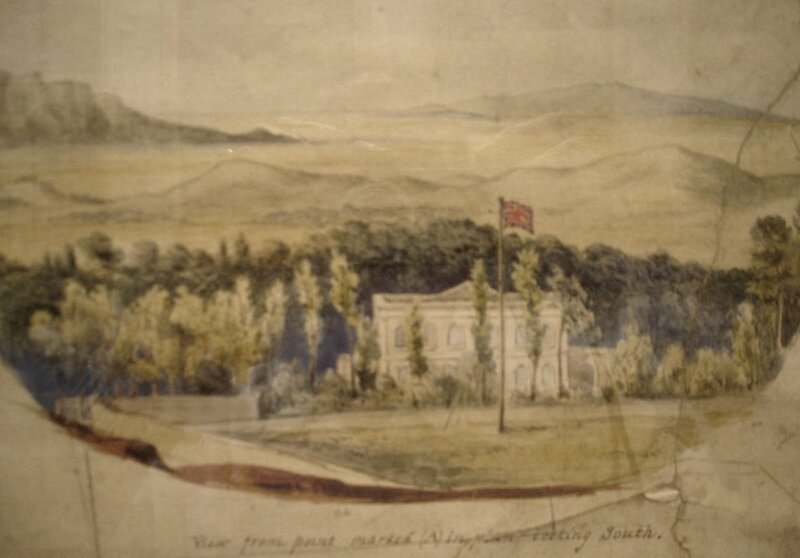 Lt. Pierson’s sketch of summer residence, 1865. 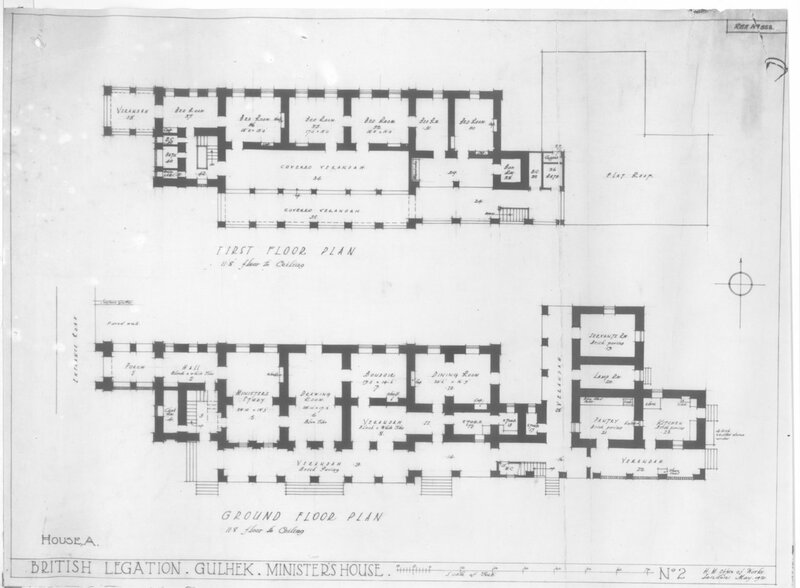 Minister’s summer residence floorplans, 1921, with 1897 terraces and east extension. Minister’s summer residence, c. 1920. New counsellor house nearing completion, 1908. 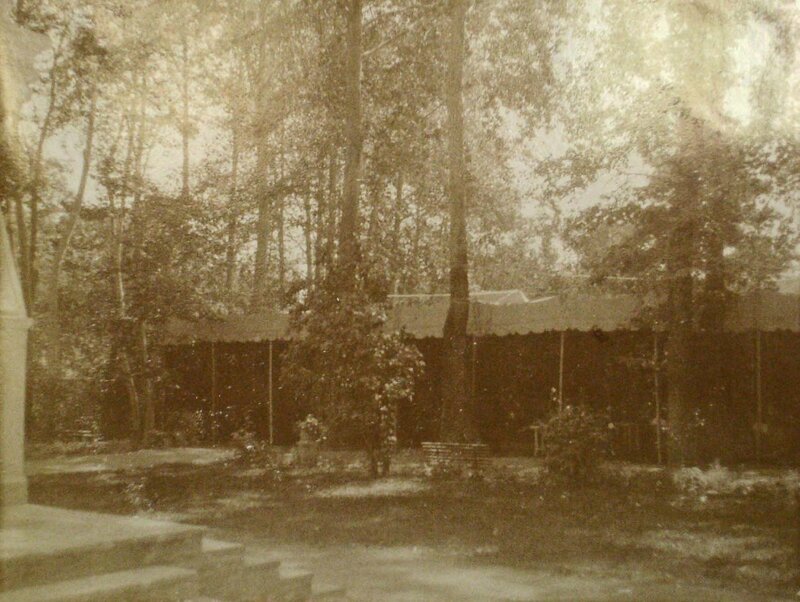 The big tent for major events opposite the front of the minister’s summer residence, 1920s. Survey of qanats serving the Gulhak compound, 1895.